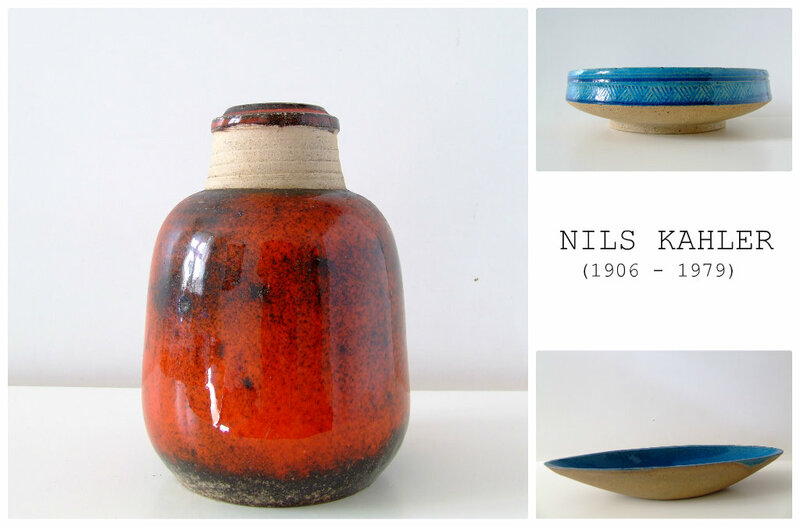 Some of Nils Kähler´s pottery from the late 1960s up through the 1970s is very time specific. It might get a revival, but hardly turn into classics. But here are three pieces that could candidate as all time favourites. All from the late 1960s - early 1970s. What do you think? Oh yes! love all HAK/Kahler pottery, it is so well made..but especially the red and orange, and that wonderful rockpool turquoise. They seemed to have used a finer/harder clay than many other Danish potteries of this era. The red was a new colour in the 1970s. A favourite among Danish potters and so also Kähler. I´ve never thought about the clay. Might be worth looking into. EEEELSKER den røde!! Så flott med den blanke overflaten og det sorte for dybde.